New technologies are hitting the food business at an unmeasurable speed. New food ordering apps, digital menus, POS systems, drone deliveries, and there were a lot more new things that we experienced in the year 2018. But as the industry widens and is in the continuous path of expansion and growth, it becomes essential to look for the better and advanced option of improvement. 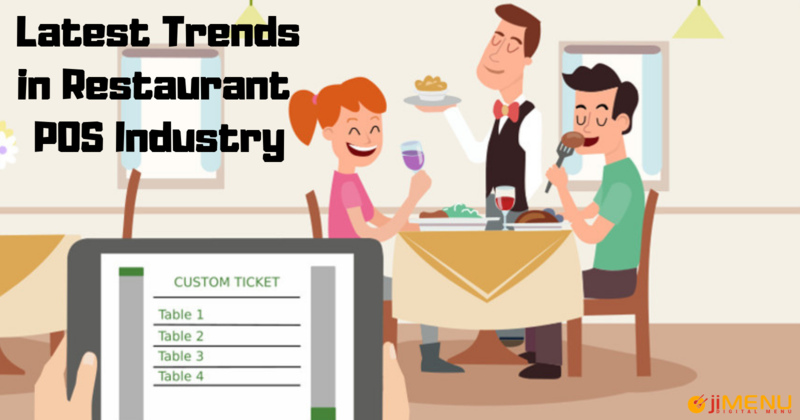 Restaurant owners are trying out hard to make restaurant operations far better than earlier to enhance the customer's experience. People are opting for POS systems in order to work accurately and to manage daily operations more precisely. The main objective behind restaurant POS systems is to make daily restaurant operations easy, quick, and accurate enough for the restaurant staff and uplift the customers dining experience. And once you have got a POS system implemented at your restaurant, it becomes necessary that you stay updated with the recent trends practiced in the food industry. Want to know the top trends, here is the list of some of the known trends that you must be aware of. It is a tedious job for customers to stand in the queue and place their orders. Introducing self-service kiosks will allow customers to place their orders on their own. Self-service kiosks are designed digitally thus display digital menus which makes it easy for the customers to order food. These kiosks will display attractive food dishes in your restaurant, special dishes, discounts, and other deals you are offering recently. This will give you an opportunity to cross-sell and enhance the customer's experience. Those days are gone when you had to rely on bulky hardware to manage your restaurant operations. Restaurant POS system has made the operations easy enough over tablet and smartphones. Moreover, the POS system has upgraded to cloud POS system which allows you to make updates from remote places. Cloud POS system even keeps your restaurant data safe and away from data thefts. Suppose you are in between a meal in a restaurant and want to order a shake additionally. You wave your arm and call the waiter, but no response. It would be annoying, isn't it? Now, how will you feel if you get a way to place the order from your table itself with a few clicks on a device? It not only sounds good but also tends to offer an amazing experience. This is what table-side ordering is known for. Tableside ordering makes it easy for the customers and restaurant staff as well. The most interesting trend which we'll encounter in this year is the biometric facial recognition. The customer needs to simply smile at the camera and the software will automatically detect your details, your past purchases, order history, and the food which he/she frequently orders. This will simply make the customer experience more interesting. Moreover, facial recognition will be quite beneficial in the payment process too. It's high time that you stay updated with the latest trends and enhance your customers base now. Want your restaurant to stand out of the rest? jiMenu lets you stay ahead of the competitors while streamlining your restaurant operations. Have any questions? You can reach us at any time, our experts are available round the clock to assist you!